Mr Curry graduated from London Hospital Medical College in 1992. During his post-grad training he worked at various hospitals throughout London, including Great Ormond Street, St Bartholomews and The Royal National Orthopaedic Hospital, and went on two fellowships to Australia, where he worked with Australia’s top knee surgeons. On his return to the UK, he finished his training at The Royal London Hospital before moving to a consultant post at The Chelsea & Westminster Hospital. 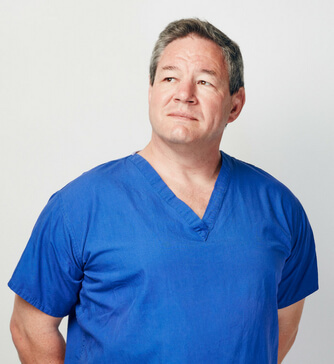 In 2002, Mr Curry was appointed Orthopaedic Consultant to St Bart’s and The Royal London Hospitals. After almost 10 years in the NHS, Mr Curry left in 2011 to dedicate himself to quality in the private sector.